The AuthorAID MOOCs in research writing are finalists for a prestigious award from the Association of Professional and Learned Society Publishers (ALPSP). The winner of this award will be announced this evening. As we wait to hear how we did, I share in this blog what I told the ALPSP annual conference yesterday. I started my talk by sharing some photos of researchers. 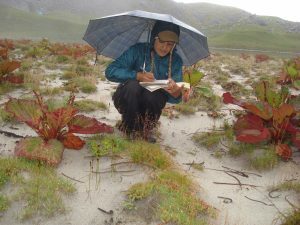 This first photo was of Kapita Karki from Nepal doing a high-altitude flora and fauna study. 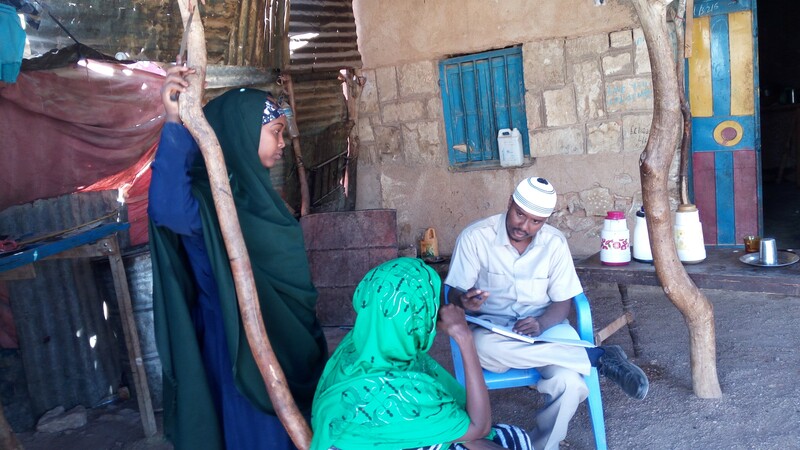 In Somalia this is Mahad Diiriye doing field data collection to analyse the value chain on livestock, fishery, agriculture, and services in the Puntland state. 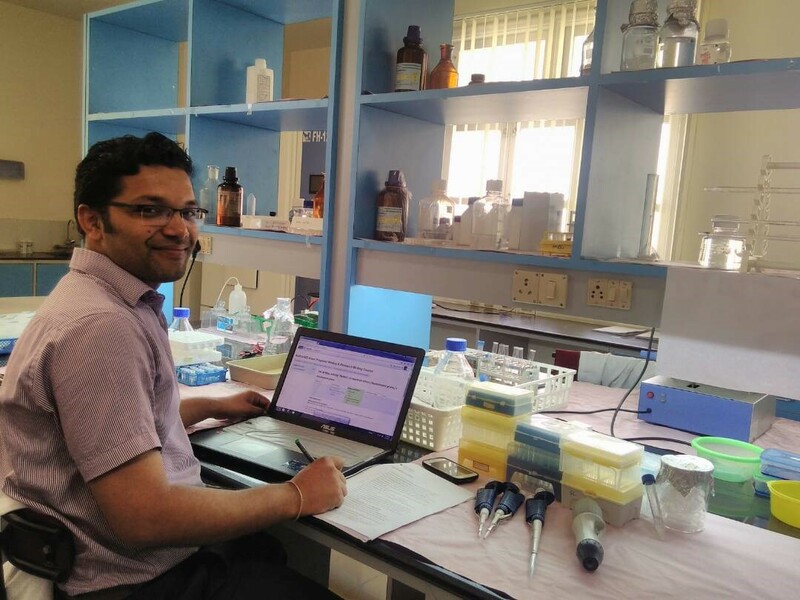 Bhuvanesh Kalal is pictured here in his lab in India studying different biomarkers on saliva and serum samples from autistic children. These three researchers – and thousands of others – have one thing in common. 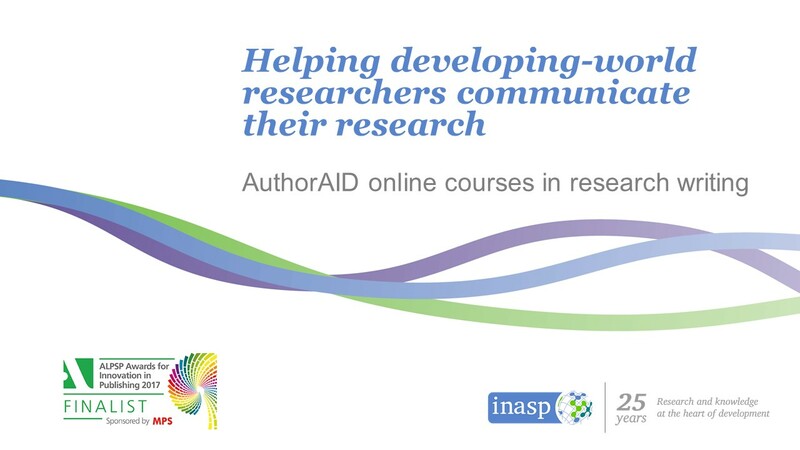 They have all completed an online course in research writing from AuthorAID. Globally, only 27% of researchers are in the global South – and only 1.1% of published papers come from Africa. But some of the world’s biggest problems occur in the developing world, as does much of the vital contextual knowledge to address them. 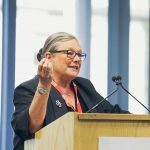 As Jo Beall, Director Education and Society at the British Council and Chair of INASP’s Board of Trustees, told guests at the reception INASP hosted at the recent Going Global conference. 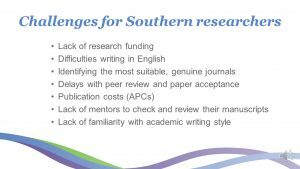 Part of the reason that Southern research output is so low is the huge range of barriers developing-world researchers, especially early-career researchers, face in getting their research published. 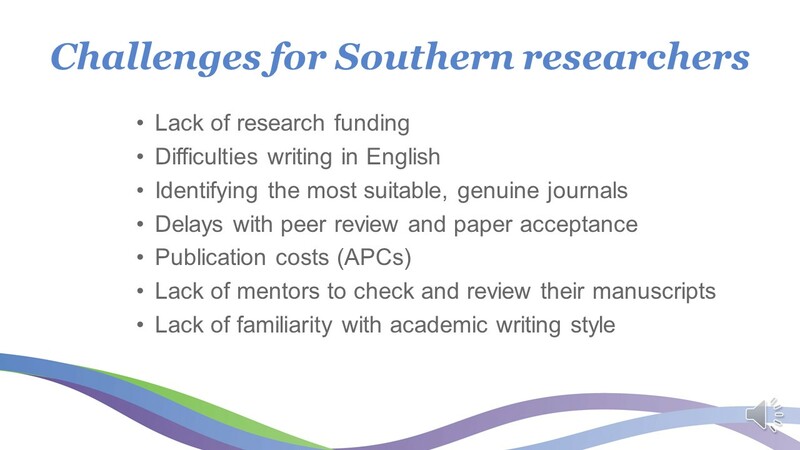 As part of our AuthorAID project, our MOOCs tackle this problem on a large-scale – thousands of researchers at a time. Our MOOCs are based on our understanding of needs and context – low-bandwidth, straightforward language, low level of assumed knowledge. They also use the strength of the 17,000+ AuthorAID community worldwide, with facilitators from around the world – and they go on to build on that community. AuthorAID MOOCs see impressive completion rates – INASP MOOCs achieve 58% completion rates, compared to normal averages of 5-13%. 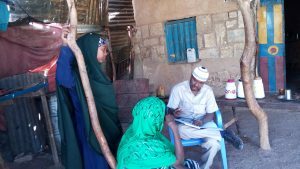 They also see high engagement with female researchers, a group that is typically more disadvantaged in the regions we work, and participation of researchers from fragile states and refugee situations. The answer is ‘yes’. 34% of people who’ve done an online course have already got papers published – a particularly impressive percentage given that we only launched the MOOCs two years ago. And there are other benefits too such as awareness raising of the value of things like ORCID – all participants are required to register for an ORCID at the start – as well as learning about the risks of dodgy publishing practices. In Kenya, for example, Carolyne Linet Awino Onyango, on completing the course, created a seminar for her colleagues on how to spot and avoid dubious journals. This work is also about local capacity building. 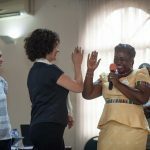 After taking an AuthorAID MOOC, Funmilayo Doherty of Nigeria was inspired to run an online research-writing course herself with a grant from AuthorAID. This course had 71 participants from 12 countries. More information on Dr. Doherty’s course here. There are so many exciting stories about how this support is really making a difference in helping researchers tackle their countries’ challenges. If you’d like to find out please do contact me or the AuthorAID team. Follow #alpspAwards to see which finalist wins tonight.